Fishing Rainy Lake is the experience of a lifetime! Welcome to my site, my name is Kevin Erickson. I was born and raised in International Falls and have fished Rainy Lake all of my life. When I'm not fishing I'm busy being a 4th grade teacher at the Falls Elementary School as well as a husband and father of six wonderful children. US Coast Guard licensed, CPR and First Aid certified. 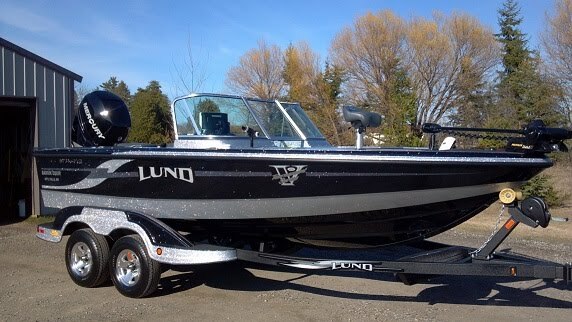 I use a 2013 19.7 ft Lund Pro V GL boat with a 225 Mercury 4 stroke motor. Rainy Lake fishing guide since 2004. I have been fishing Rainy Lake all my life. I am capable of fishing all species on Rainy Lake in both American and Canadian waters.